Can food be re-canned if the lid does not seal? Canned food can safely be re-canned if the unsealed jar is discovered within 24 hours. To re-can, remove the lid and check the jar rim for tiny nicks. Change the jar, if necessary. Add a new treated lid and reprocess using the same processing time. If canned foods have been frozen during storage, are they safe to eat? 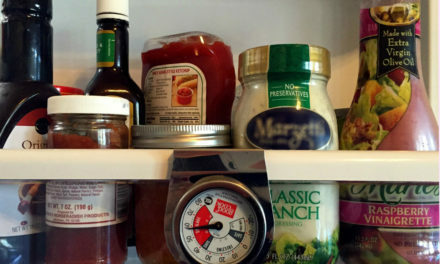 Freezing does not cause food spoilage unless the seal is damaged or the jar is broken. These often happen as the food expands during freezing. Frozen foods, however, may be less palatable than properly stored canned food. In an unheated storage place, protect canned foods by wrapping the jars in paper or covering them with a blanket. Do I really need to leave a certain amount of headspace in the jar? Yes, leaving the specified amount of headspace in a jar is important to assure a vacuum seal. If too little headspace is allowed the food may expand and bubble out when air is being forced out from under the lid during processing. The bubbling food may leave a deposit on the rim of the jar or the seal of the lid and prevent the jar from sealing properly. If too much headspace is allowed, the food at the top is likely to discolor. Also, the jar may not seal properly because there will not be enough processing time to drive all the air out of the jar. How long will canned food keep? Properly canned food stored in a cool, dry place will retain best quality for at least one year. Canned food stored in a warm place near hot pipes, a range, a furnace or in direct sunlight may lose some of its eating quality in a few weeks or months, depending on the temperature. Dampness may corrode cans or metal lids and cause leakage so the food will spoil. Is it necessary to sterilize jars before canning? Jars do not need to be sterilized before canning if they will be filled with food and processed in a boiling water bath canner for 10 minutes or more, or if they will be processed in a pressure canner. Jars that will be processed in a boiling water bath canner for less than 10 minutes, once filled, need to be sterilized first by boiling them in hot water for 10 minutes before filling them. Is it safe to process food in the oven? No. This can be dangerous because the temperature will vary according to the accuracy of oven regulators and circulation of heat. Dry heat is very slow in penetrating into jars of food. Also, jars explode easily in the oven. Can two layers of jars be processed in a canner at one time? Yes, two layers can be processed at once, in either the boiling water bath or pressure canner. Place a small wire rack between the layers so water or steam will circulate around each jar. Make certain that the water covers the tops of all jars by one inch in a boiling water bath canner. The pressure canner should have two to three inches of water in the bottom. Is it necessary to exhaust a pressure canner? Yes, it is very important to allow steam to escape for 10 minutes before closing the valve or placing the weight on the vent. If the canner is not exhausted, the inside temperature may not correspond to the pressure on the gauge. Should liquid lost during processing be replaced? No. Loss of liquid does not cause food to spoil, though the food above the liquid may darken. If, however, the loss is excessive (for example, if at least half of the liquid is lost), refrigerate the jar(s) and use within two to three days. Is it all right to reuse jar fittings (lids and bands)? Lids should not be used a second time since the sealing compound becomes indented by the first use, preventing another airtight seal. Screw bands may be reused unless they are badly rusted or the top edge is pried up which would prevent a proper seal. Why is open kettle canning not recommended? In open kettle canning, food is cooked in an ordinary kettle, then packed into jars and sealed without processing. The temperatures obtained in open kettle canning are not high enough to destroy all spoilage and food poisoning organisms that may be in the food. Also, microorganisms can enter the food when it is transferred from the kettle to jars and cause spoilage. Why do the underside of metal lids sometimes discolor? Natural compounds in some foods, particularly acids, corrode metal and make a dark deposit on the underside of jar lids. This deposit on lids of sealed, properly processed canned foods is harmless. putting jars of raw or unheated food directly into boiling water in the canner, rather than into hot water (sudden change in temperature-too wide a margin between temperature of filled jars and water in canner before processing). If I find mold growing inside a jar of canned food, can I just scrape it off and eat the food? Mold growth in foods can raise the pH of the food. In home canned products, this could mean that the high acid products could become low acid and therefore run the risk of botulism or other bacterial spoilage. Thus, any home canned product that shows signs of mold growth should be discarded. The USDA and microbiologists now recommend against even scooping out the mold on jams and jelly products and using the remaining jam or jelly, even though that was suggested in the past. How can I remove scale or hard-water film from canning jars? Soak jars for several hours in a solution of 1 cup of vinegar and 1 gallon of water. There are no other research-tested processes for canning in half-gallon jars. Recipes written to can food in pint or quart jars cannot be adjusted to use a larger jar. There are historical recommendations for canning foods in half-gallon jars. However, these are not currently accepted or endorsed by the USDA, Cooperative Extension System or U.S. manufacturers of home canning jars. 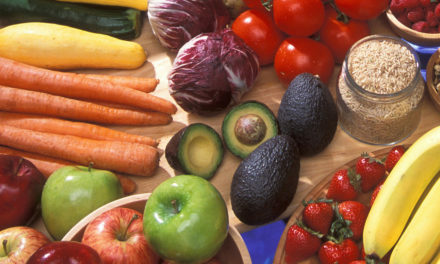 Is it safe to can vegetables and fruits without salt? Yes, salt is used for flavor only and not to prevent spoilage. Is it safe to can fruit without sugar? Yes, sugar is added to improve flavor, help stabilize color and retain the shape of the fruit. It is not added as a preservative. Should all vegetables be precooked before canning? For best quality, yes. However, some vegetables can be packed raw or cold into jars before being processed in the pressure canner. What vegetables expand instead of shrink during processing? Corn, peas and lima beans are starchy and expand during processing. They should be packed loosely. What causes corn to turn brown during processing? This occurs most often when too high a temperature is used causing caramelization of the sugar in the corn. It may also be caused by some minerals in the water used in canning. Why is canning summer squash or zucchini not recommended? Earlier recommendations for canning summer squashes, including zucchini, that appeared in former editions of So Easy to Preserve or USDA bulletins have been withdrawn due to uncertainty about processing times. Squashes are low-acid vegetables and require pressure canning for a known period of time that will destroy the bacteria that cause botulism. Documentation for the previous processing times cannot be found, and reports that are available do not support the old process. Slices or cubes of cooked summer squash will get quite soft and pack tightly into the jars. The amount of squash filled into a jar will affect the heating pattern in the jar. It is best to freeze or pickle summer squashes, but they may also be dried. Can I can my own salsa recipe? Salsas are usually mixtures of acid and low-acid ingredients; they are an example of an acidified food. The specific recipe and sometimes preparation methods, will determine if a salsa can be processed in a boiling water canner or a pressure canner. The process must be scientifically determined for each recipe. 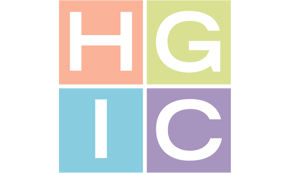 To can salsa at home, see HGIC 3360, Preserving Tomato Products for the recipe for Chile Salsa or for Mexican Tomato Sauce see HGIC 3340, Preserving Tomato Sauces & Ketchup. Should giblets of chickens be canned in the same jar with chicken? No. Their flavor may permeate other pieces of chicken in the jar. Is it safe to can meat and poultry without salt? Yes. Salt is used for flavor only and is not necessary for safe canning of meat and poultry. Why is it necessary to remove as much fat from meats as possible before canning? Any fat that gets on the rim of the canning jar can prevent an airtight seal. Excess fat in jars makes it easier for the fat to climb the sides of the jar and contaminate the seal. Can I can bread or cake in a jar? These products are not recommended for canning. Choose recipes that you can freeze. In fact, most of these products are not really “canned.” The directions call for baking in the jar and then closing with a canning lid. Many recipes for quick breads and cakes are low-acid and have the potential for supporting the growth of bacteria like Clostridium botulinum if it is present inside the closed jar. You will see these products made commercially; however, additives, preservatives and processing controls not available for home recipes are used. Canning jar manufacturers also don’t endorse baking in their canning jars. How do I can oil with herbs? Can I can pesto? Herbs and oils are both low-acid and together could support the growth of the disease-causing Clostridium botulinum bacteria. Oils may be flavored with herbs if they are made up for fresh use, stored in the refrigerator and used within two to three days. There are no canning recommendations. Fresh herbs must be washed well and dried completely before storing in the oil. The very best sanitation and personal hygiene practices must be used. Pesto is an uncooked seasoning mixture of herbs, usually including fresh basil, and some oil. It may be frozen for long-term storage; there are no home canning recommendations. Should I use directions for canning butter at home that I see on the Internet? Home canning of butter is NOT recommended or endorsed. For more information about safely canning foods at home, request any of the following fact sheets: HGIC 3000, Preserving Foods; HGIC 3020, Home Canning Equipment; HGIC 3040, Canning Foods at Home; HGIC 3050, Common Canning Problems or HGIC 3505, Safe Handling of Canned Goods.